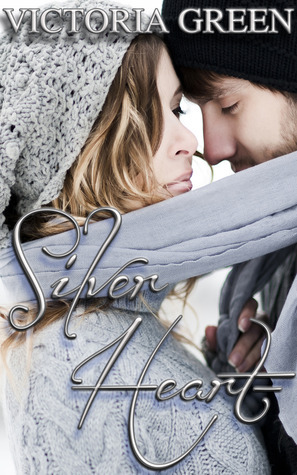 Silver Heart Blog Tour + Giveaway [INT’L]! I have the pleasure today in being a part of the Silver Heart tour hosted by Giselle @ Xpresso Reads! I welcome Victoria Green to the blog, where she’s kindly shared with us her ten most influential writers’ list! I look up to these two writers because they are the type of young women who do it all and defy stereotypes along the way. I feel that Shakespeare has contributed to the foundation both our language and storytelling as a whole. So many of his works have stood the test of time and evolved throughout literature to shape some great modern books and films. Growing up, I loved reading fairytales with a dark twist. I often spent my time writing my own versions of the classics. Few authors have had an impact on young readers like Ms. Rowling. The “Harry Potter” series has become a true classic that appeals not only to children and young adults, but all generations of fantasy lovers. What I enjoy most about Stephen King’s writing is his ability to captivate the readers with clever use of setting and characterization to create suspenseful, captivating tales. “Catcher in the Rye” is not only a book that defines the struggles of “coming of age”, but also a story that features an imperfect, “real” protagonist that you can’t help but root for. Holden will always hold a dear place in my heart. A true trailbraizer. As a young Canadian female author, I look up to her as someone who paved the way for women like me. His books have taught me to dream and use my imagination to the fullest. As a young kid, I found myself getting completely lost in the literary worlds he had created. In my English Lit class in university, I spent a lot of time studying her life and works, so I have somewhat of a soft spot for the Bronte clan. As a writer who demonstrates values of equity, feminism, and equality through her literature, she is a true inspiration to me as both a woman and a writer. In addition to her writing, she also spends much time promoting ambition in young women all over the globe. Her books are inspirations as they seek to bridge understanding between groups experiencing racism, sexism, and exclusion.